Today on My Poetic Side we take look at the school girl from Singapore who has won the oldest poetry competition in the world, the Greenock poet who has been honoured in his home town, and the Nigerian poet who has passed away at 51. A 13-year-old student from Singapore has been admitted to the ranks of her fellow countrymen, including the current Prime Minister, who have all previously won the title in the oldest international schools’ writing competition in the world. Janine Shum was crowned the 2018 junior winner of The Queen’s Commonwealth Essay Competition with her entry “Two Voices”. There were around 12,000 entries in the competition this year, from across the five regions that make up the Commonwealth. 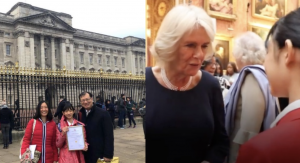 Last week, as part of her prize she got to visit Buckingham Palace where she was given her award by the Duchess of Cornwall, Camilla Parker Bowles. In “Two Voices”, Shu has looked at the life of two young girls, each from their own perspective – one in Singapore and one in Afghanistan. She has cleverly used a twin cinema format for her poem with two separate columns of poetry. They can be read horizontally across both of the columns or vertically down each column on its own. A once forgotten Greenock poet has been honoured with a tribute in his home town. The event in honour of William Sydney Graham coincided with the 100th anniversary of his birth and consisted of drawings, paintings and poetry organised by a group of locals. Stained glass artist, Alec Galloway, who was familiar with much of Grahams work, was commissioned to create a number of sculptures in honour of the poet. These sculptures will be placed in special areas of interest that played an important part in inspiring the poet’s verse. 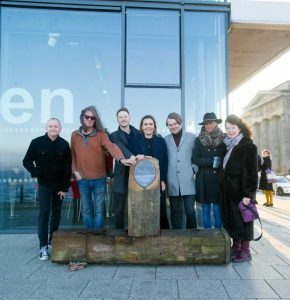 Alec, an acclaimed stained-glass artist, was familiar with Graham’s work through the writer’s association with his favourite artist Peter Lanyon and was commissioned to create sculptures in his memory. One of the sculptures is to be placed in the street where the poet was born. During his lifetime, Grahams work was mostly overlooked, only truly receiving acknowledgement because of the support of the writer Harold Pinter. 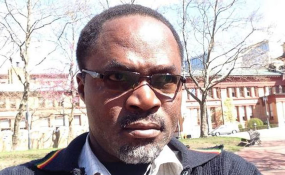 In 2017, the Nigerian award-winning Ikeogu Oke, a poet, became a well-known name when he was awarded the winner of the Nigerian Prize for Literature. He got the award for his piece “The Heresiad”. He was very well renowned for his singular style of poetry. It was very often introspective and offered a reflection on the subjects of politics and social problems. Oke passed away at the weekend in hospital, he was just 51. Political figures, including the president, offered their condolences to his family and paid tribute to the man who was thought of as the National Poet Laureate.